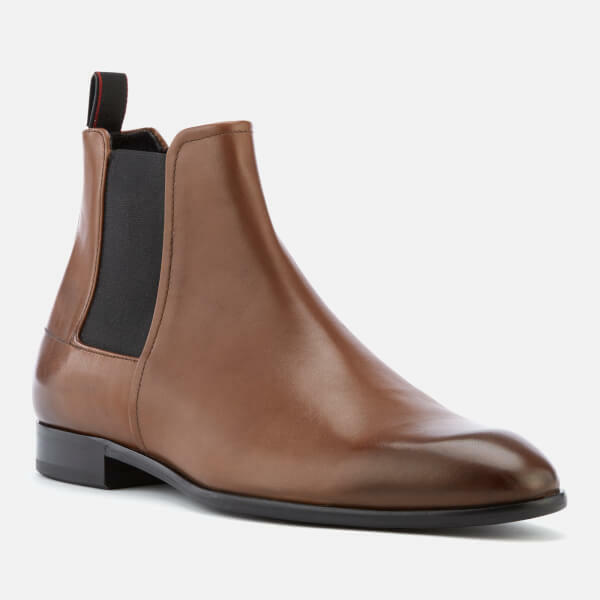 Men’s ‘Dress Appeal’ tan leather Chelsea boots from HUGO. 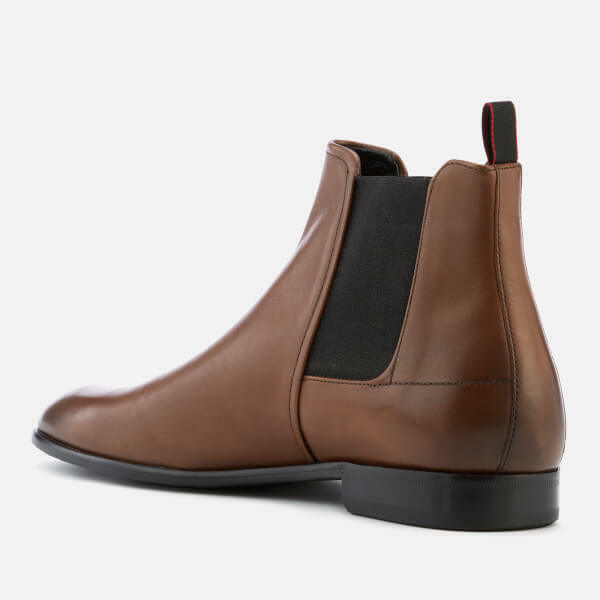 Crafted from premium, burnished leather uppers, the ankle boots form a traditional structure with elasticated side gussets and an almond-shaped toe. 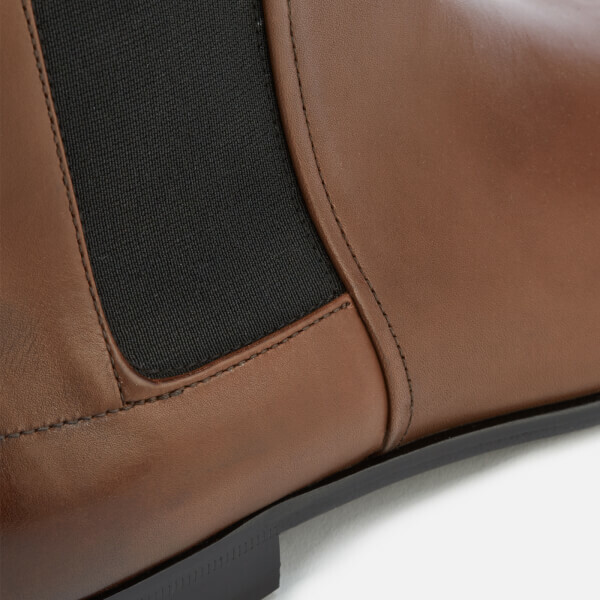 A flex-foam sockliner and leather lining ensure optimum comfort and durability, set upon a slick leather sole with rubber inlay for enhanced grip. Finished with woven heel pull tab in the label’s signature colours. 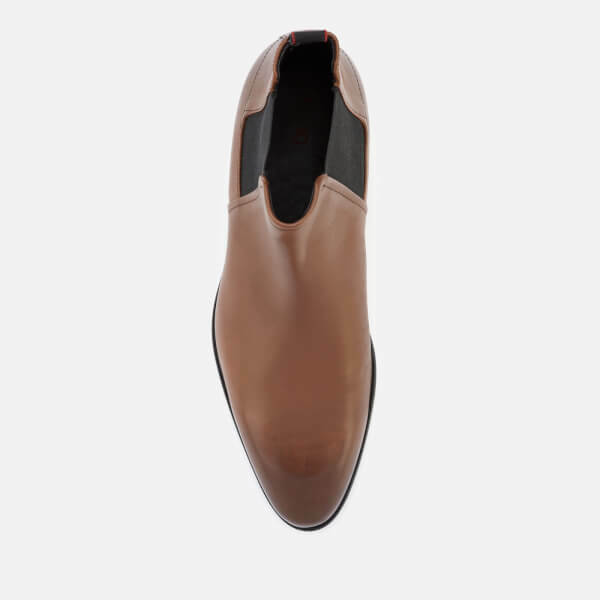 Upper: Calfskin Leather. 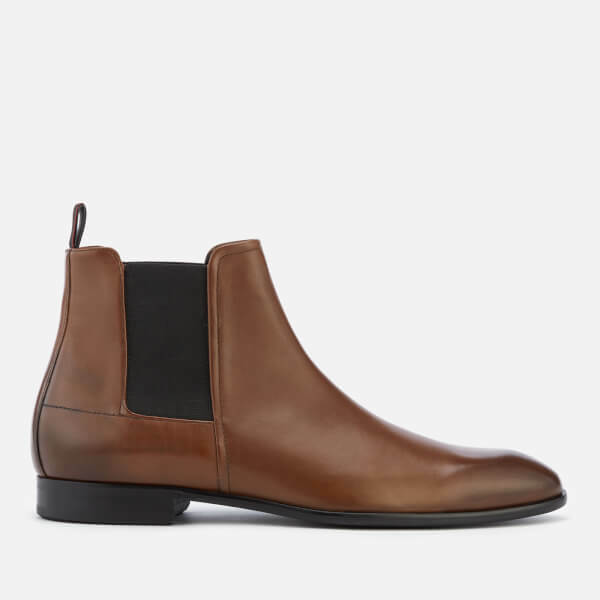 Lining: Goat Leather. 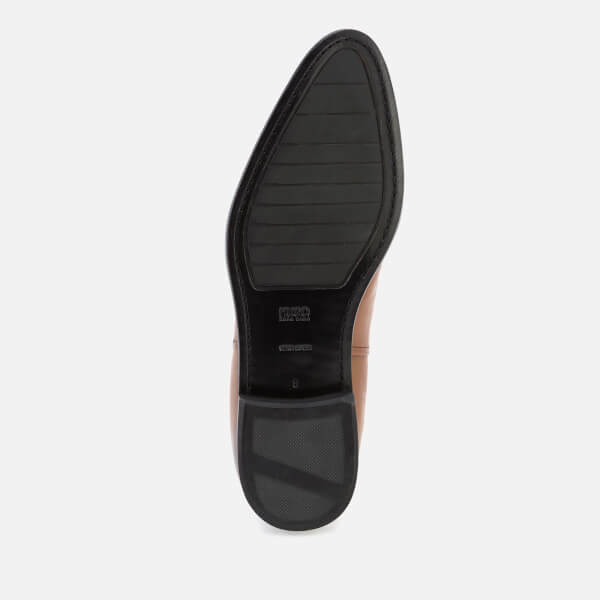 Sole: Leather/Rubber.